Item code: D01Price: $4Description: This cheerful fabric Ganesh is hand embroidered with a unique colorful design and adorned with a touch of glitter and sequins. It may be used as a clothing patch, ornament, magnet or as decoration. Made by young disabled artisans at The SPIRAL Foundation Workshops in Hue Vietnam, all net proceeds from the sale of this item fund medical programs of OGCDC (Office of Genetic Counseling for Disabled Children) at Hue University of Medicine and Pharmacy. Please note: The price is not included the shipping cost. Item code: D02Price: $4Description: This cheerful fabric Ganesh is hand embroidered with a unique colorful design and adorned with a touch of glitter and sequins. 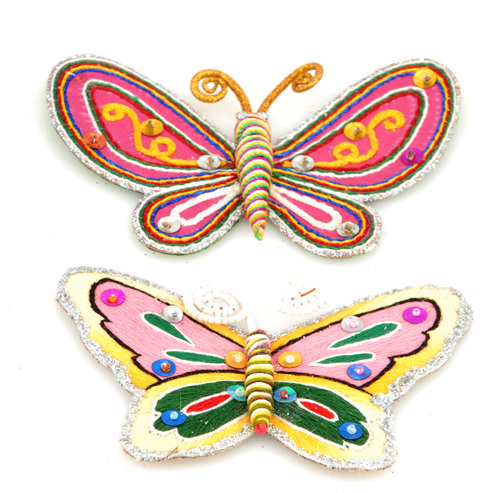 It may be used as a clothing patch, ornament, magnet or as decoration. Made by young disabled artisans at The SPIRAL Foundation Workshops in Hue Vietnam, all net proceeds from the sale of this item fund medical programs of OGCDC (Office of Genetic Counseling for Disabled Children) at Hue University of Medicine and Pharmacy. Please note: The price is not included the shipping cost. 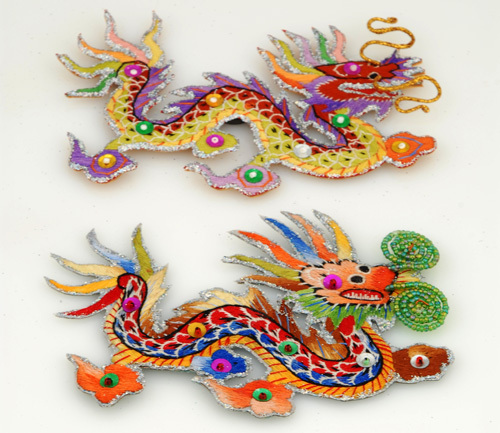 Item code: D03Price: $4Description: This cheerful fabric Dragon is hand embroidered with a unique colorful design and adorned with a touch of glitter and sequins. 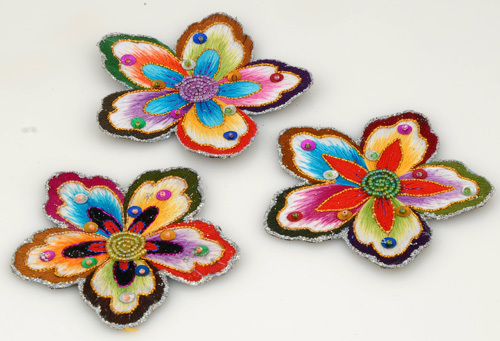 It may be used as a clothing patch, ornament, magnet or as decoration. Made by young disabled artisans at The SPIRAL Foundation Workshops in Hue, Vietnam, all net proceeds from the sale of this item fund medical programs of OGCDC (Office of Genetic Counseling for Disabled Children) at Hue University of Medicine and Pharmacy. Please note: The price is not included the shipping cost. Made in Vietnam products! Buy these beautifully designed, locally made products from the S.P.I.R.A.L. Foundation. Proceeds go to humanitarian programs of OGCDC. Fund of Genetic Counseling & Disabled Children (OGCDC) is a local nongovernment association and a charity resisted in Thua Thien Hue Province, Vietnam with the number 754/QĐ-UBND.